The potential benefits from Britain becoming an independent coastal state, as well as the threats to the exports of fish and seafood to the EU, were spelled out at the Seafish Scottish Seafood Summit 2019 in Aberdeen last week. Scottish White Fish Producers’ Association (SWFPA) chief Mike Park told the conference that while the industry wants bigger quota shares after Brexit, the sustainability of stocks was just as important. “Getting bigger shares of something is not the solution to the problem. Getting bigger shares and maintaining stocks is the real outcome we’re looking for,” he said. He also called for tailor-made regional fisheries management policies, with fishermen being centrally involved from the outset of policy-making, and at every stage of the process. Pointing out that Iceland catches 95% of the stocks in its waters and Norway 85%, he said that the UK overall only takes 36% of fish and shellfish in its waters, worth £815m. There is the potential for a ‘massive increase’ in the herring catch, and big increases for saithe, hake and some other stocks, but less so for cod, while opportunities for increases of North Sea haddock and whiting are ‘significantly small’. “That’s why I say maintaining stability of the stocks is probably, in some cases, more important than going to grab bigger shares, because a bigger share of something that’s in decline doesn’t give you more opportunities,” said Mike Park. An increase of the UK catch in its waters from 36% to only 50% would increase income to about £1bn, while if we caught everything in our waters, it would give an increased revenue of £850m a year – £20bn extra over 25 years. But while Brexit has the potential for ‘a big boost’ for the fisheries sector, some of the shellfish sector has been ‘less exercised about getting bigger shares, and more [concerned] about getting their products across the Channel’. There could be costly delays in getting products such as scallops and prawns into Europe because of health checks and other border controls. Products lose 5-10% of their value in the first 24 hours, and then another 10-15% for every 12 hours’ delay after that. 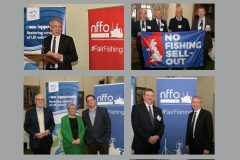 These points were also highlighted by Scottish fisheries minister Fergus Ewing, who gave the keynote speech at the conference (see below right). He said that the new fisheries bill, now going through parliament, should allow fit-for-purpose, tailor-made regionalised fisheries management to replace the current ‘dictatorial’ and ‘very paternalistic’ CFP regime. “We want to see a system of governance where the industry is bolted in at every level, especially the bottom level,” he said. He had spoken to representatives of the Scottish government about this, and they agreed with that view, but ‘we haven’t had that discussion with DEFRA yet’. He expressed concern that some amendments proposed in the fisheries bill could put the UK FQA allocation system under pressure. That was a worry, because FQA holdings underpinned the value of assets. “We can only build new vessels if we get money from the bank, and we can only get that if we have collateral – assets – and that’s based on quota,” he said. 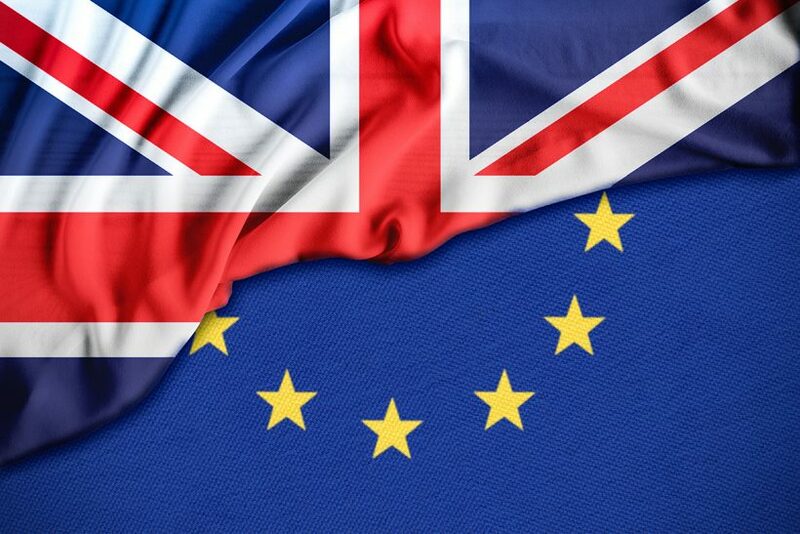 Mike Park stressed the need for negotiators to ensure that the UK has enough quota to get through the year, when the first negotiations with the UK as an independent coastal state take place. A big leverage for the UK would be access to our waters, but ‘that doesn’t mean that we can make others roll over – everybody will have their own red lines’. There would also be the internal tensions between England and Scotland to resolve. “We hope that, to some degree, our requirements are put over other requirements, because the access most people will want will be in Scottish waters,” he said.